Over the years, we have handled thousands of GIA certified, loose diamonds and have had tens of thousands of satisfied customers. Wady, the staff certified gemologist, received his gemologist certificate in 1980 so he has over 30 years of critiquing diamonds. Between his expertise and over the past 30 years we have developed a vast international network for diamonds, rubies, sapphires and other precious stones and jewelry we literally mean: world class diamonds to accompany our personal service. Our inventory and extensive network span the Pacific Northwest and the globe, so we can customize any piece of jewelry you want. Our low overhead ensures you get the best price on the market and because we customize all of our earrings, engagement rings, wedding bands, necklaces and pendants you will get a breathtaking heirloom. 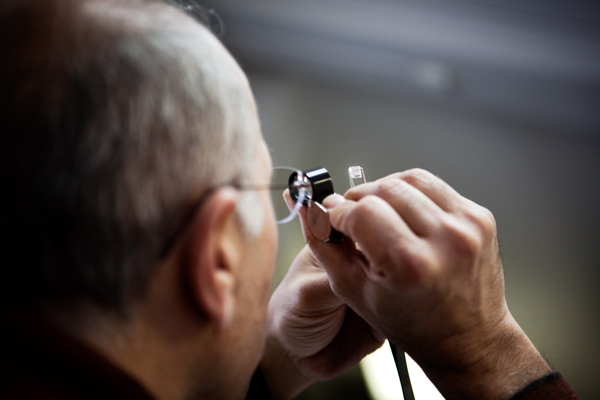 We provide the best quality diamonds for the lowest price guaranteed! We’ll meet or beat any competitors’ prices! We sell GIA certified diamonds, this ensures not only the highest quality but also that they have been harvested and cut by all ethical and moral means. Feel free to use our site to learn more about diamonds, or give us a call and we’ll be happy to work with you.